Happy Hamby Campers: Bunk buddies! It was quite novel to be on the road with caravan in tow! Nick had suggested we organise dinner in a thermal cooker but easy spaghetti bolognaise didn't seem all that special as a birthday dinner - and I'd been busy packing, so the thermal cooker stayed empty. Our tummies felt increasingly empty also and I called for a stop at Ballarat. I was hopeful of a park with a BBQ but it was hard to find one in the dark, so we drove on. Nick was finally encouraged to stop at Learmonth, which is described as being quite picturesque. I'm sure it is - in daylight! We pulled up at a park and quickly investigated the large picnic shelter. As far as I could see there were no BBQs, so we set up our dual fuel stove with a Cobb Cooker BBQ plate. Our more elaborate planned dinner became chicken sticks and crunchy salad, served on wrap bread. 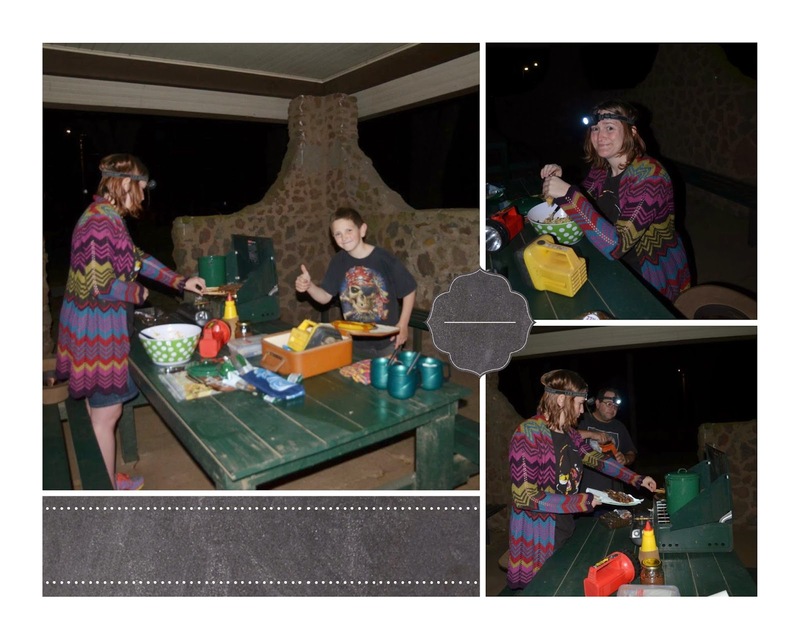 (On checking, it was quite similar to our dinner during our overnight Cobar stop earlier in the year, thankfully without the dubious microwave rice)! Our wrapped innovation was declared better than take-away though of course, dining at 10:00pm does heighten one's appreciation of the evening meal! Typically, I discovered the free BBQ after packing up but given the wind was quite strong we were glad to have set up in the sheltered area. Nick checked the van and discovered one of the edging strips had come away. Bandit's rope was utilised as a temporary solution and we continued on to our destination. 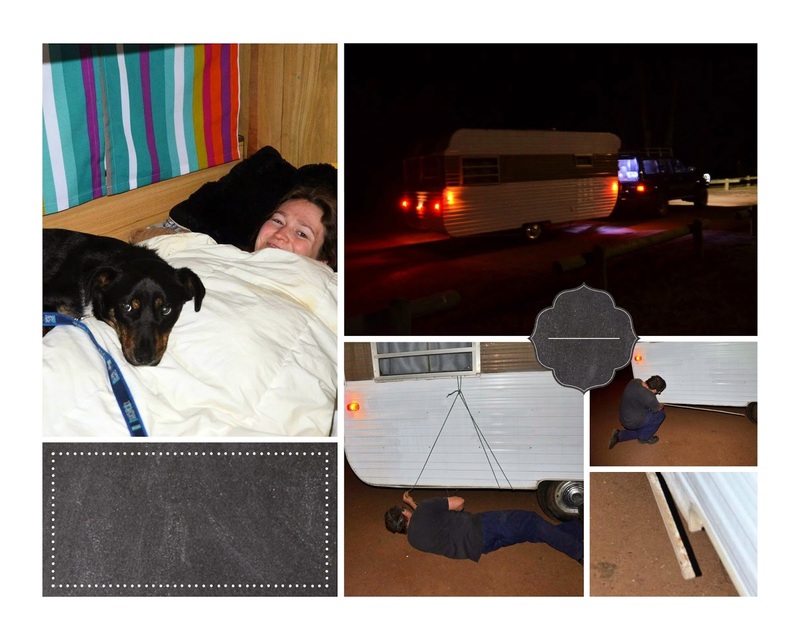 We eventually arrived at midnight, extremely thankful that our beds were already made - and we could just roll into them! Bandit often joined me in the caravan while I was sewing curtains and other items. He adopted the bottom bed as "his", so I'm sure he saw Erin as the interloper when the two of them became bunk buddies on the trip!